We’re glad to hear that you want to join Ubar Grotto. We’d love to have you! This page is designed to guide you through how to become a member of the greatest Grotto in the Realm and we hope you find it useful! If want to learn more about what Grotto is, check out our About page. Firstly, you must be a member of a Masonic Lodge. Not a member? That’s okay! 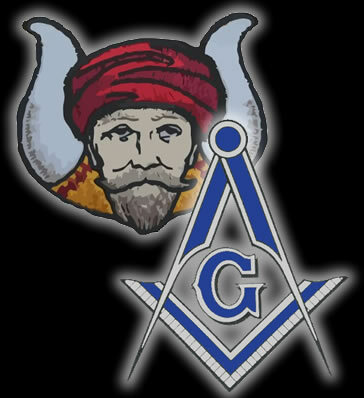 All you need to do is visit the website of the Grand Lodge of Free and Accepted Masons of Pennsylvania. There you can learn about what it means to be a Freemason and get a petition to join. Once you become a member of a “Blue Lodge” you are eligible to become a member of Ubar Grotto. So, now you’re a member of a Masonic Lodge – great! All you need to do is complete our online Ubar Application or download and fill out the Grotto Petition by hand. If you do it by hand, you’ll need to e-mail the petition to ubargrotto@gmail.com or give it to a member. Your petition will be submitted and voted on. After approval by the members, you’ll be contacted to schedule a time to come and witness the ceremonial induction of the Grotto. Congratulations, you are now a full member! Don’t forget to come out to our meetings on the fourth Sunday of each month (except July, August, and December) at 6 pm at Funk Brewing 28 S. Market St in Elizabethtown, PA!